UPDATED: Sat., June 23, 2018, 8:11 p.m.
Idaho State Police arrested a driver on charges of possession of 1/4 ounce of meth and felony driving under the influence after he was involved in a crash Saturday morning on U.S. Highway 95 and Kathleen Avenue. 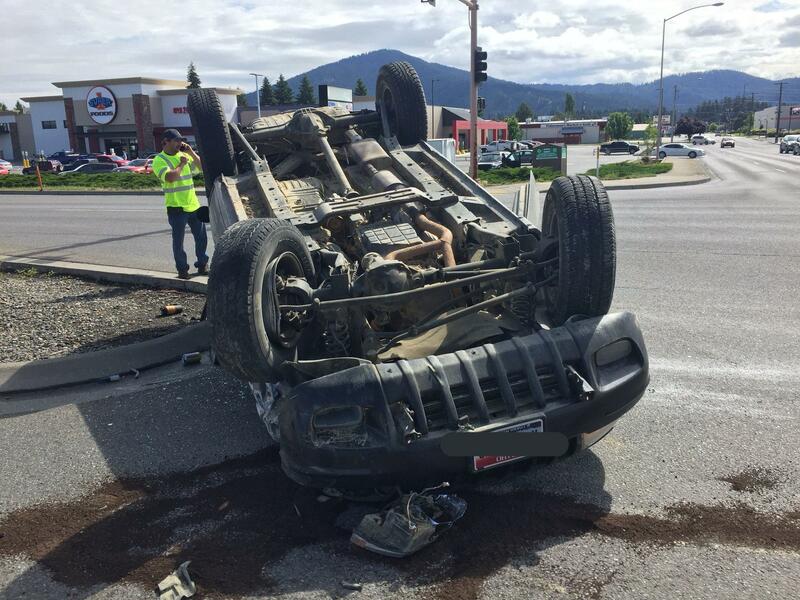 Troopers arrested Michael Schaffer, 27, of Coeur d’Alene, who had been driving northbound in a black jeep on U.S. 95 when he allegedly sideswiped a Chevy Silverado stopped in a turn lane, according to an Idaho State Police news release. Schaffer’s vehicle rolled and stopped at the north side of the intersection. Both drivers were wearing seat belts and the Idaho State Police tweeted there were injuries at the accident. Authorities are still investigating the accident. Schaffer was arrested and booked into Kootenai County Jail for alleged DUI and possession of a controlled substance. Published: June 23, 2018, 3:21 p.m. Updated: June 23, 2018, 8:11 p.m.